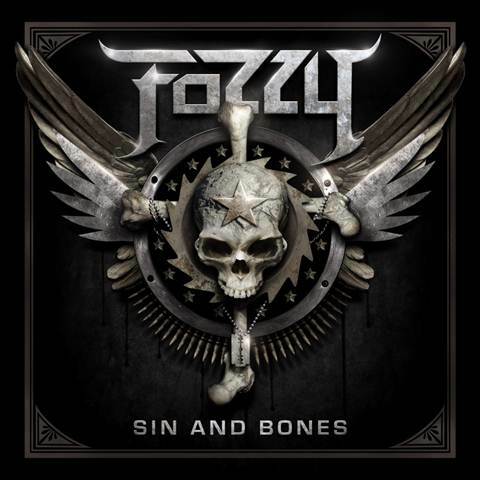 Fozzy’s sixth album brings them their best first-week sales and highest Billboard chart position yet — over 5,000 copies sold to place the album at No. 54. There was a time when a number like that wouldn’t have gotten you in the Top 200 at all but in this digital age, that’s a pretty good number for a rock/metal band. For the most part, the album is modern hard rock/metal that could be passed off as Shinedown, Pop Evil or whoever but the band takes a few twists and turns every few tracks. This isn’t necessarily a problem as long as the songs are good but this album is all over the place. Which, I guess, is a symptom of all Fozzy releases. They do a lot of genre hopping and trend-following. On All That Remains, they tried a rap-metal song. On Chasing the Grail, they did a song that sounded like Avenged Sevenfold. With Do You Wanna Start A War has a modern rock radio ballad in the form of “Died With You” but experiments with screamo metal on “One Crazed Anarchist” and then I hear bits of glam rock on “Tonight”. “SOS” is a cover of ABBA. As I said, this isn’t a bad thing. Do You Wanna Start A War is a pretty interesting listen because of its diversity and the band is employing melodies to a greater degree this time. Chris Jericho’s voice continues to get stronger. His work on their earlier albums was pretty weak and he was probably getting by only on name-value at that point but he’s definitely come along as a vocalist. I would actually rather him focus on music these days than professional wrestling. 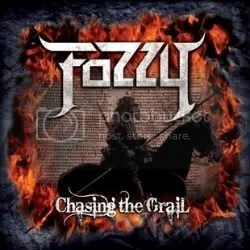 14 years after the band’s first release, it seems like Fozzy finally has a spark about them, even if their sound is a bit unfocused. 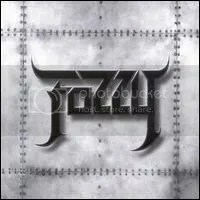 Five years after their last studio release, Fozzy is back with their fourth release which is similar to All That Remains in regards to the band playing it straight as a metal act that combines melody and heavy riffing. I do think this is a better effort than All That Remains was though and it’s certainly heavier. They’ve shed the ’80s metal parody/tribute gimmick and for better or worse have an updated heavy metal sound. It’s funny because though they’ve left the 1980s behind, they seem to be embracing the early 2000s with downright nu-metal (“Let the Madness Begin”, “Watch Me Shine”, “Revival”) vibe on a few tracks along with post-grunge (“Broken Soul” could have come from any number of those types of bands) and I even hear bits of Black Label Society thanks to guitarist Rich Ward seemingly imitating Zakk Wylde. Inspiration seems to be all over the place, which is surprising since Jericho is such an ’80s metal junky. I can’t help but get the feeling that the band is trying too hard to fit in with modern times though. They even took the time to come up the nearly 14 minute progressive “Wormwood” that sounds like something you may hear from Avenged Sevenfold or Dream Theater with it’s shifts between tender moments, blazing solos and heavy riffs. It’s actually pretty good though, so who am I to complain? I like this album a lot better than when I first listened to it, but like with their previous effort, there’s a lot of filler here and not a lot of focus. Seems like they want to sample a bit of everything. I guess it’s hard to expect a lot of focus from a band that is almost always on hiatus thanks to their lead singer being a full-time professional wrestler (or should I say “sports entertainer”?) who tours the world all year ’round . They should pick one direction and go with it. To be honest, if Chris Jericho wasn’t one of my favorite wrestlers of all time, I don’t think I would have much interest in Fozzy. At this point, they’re really just “there” and don’t standout to me in anyway (I actually think Jericho’s vocals are kinda weak as well). An okay effort that is probably only worth tracking down for Jericho and Stuck Mojo fans. 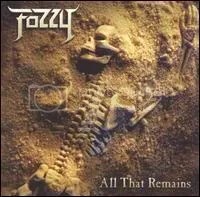 Before Fozzy turned themselves into a somewhat serious hard rock & metal band with 2005’s All That Remains, they played the Spinal Tap joke card and did mostly covers on their first two albums. The concept behind wrestler Chris Jericho and the band Stuck Mojo getting together was that they were a 80s hair band who had been stuck in Japan for the last 15 years and had written all these great songs that were “stolen” by other bands and these are the original versions. Pretty interesting and humorous idea and I remember the band and Jericho getting a lot of press from the Metal Sludge website at the time with the site playing along that this was all legit. It actually took me a few years to pick this one up, for some reason, despite being a huge Jericho fan and huge fan of 80s rock. Jericho does a surprisingly good job using an “80s metal voice” and hitting the notes on these songs, though he sounds a bit strained trying to measure up to Rob Halford on “Riding on the Wind” (but who wouldn’t, outside of Ripper Owens, that is). It’s a really fun album and Jericho’s “The new Number TWO!” overacting at the beginning of Iron Maiden’s “The Prisoner” cracks me up. It’s not all covers though, the band managed to put up 2 original songs: “End of Days” and “Feel the Burn”, both of which have a more modern sound and wouldn’t be out of place on All That Remains. Of the two, “End of Days” is my favorite. Well, this is quite a departure from covering W.A.S.P’s “L.O.V.E. Machine” and Iron Maiden’s “The Prisoner”. 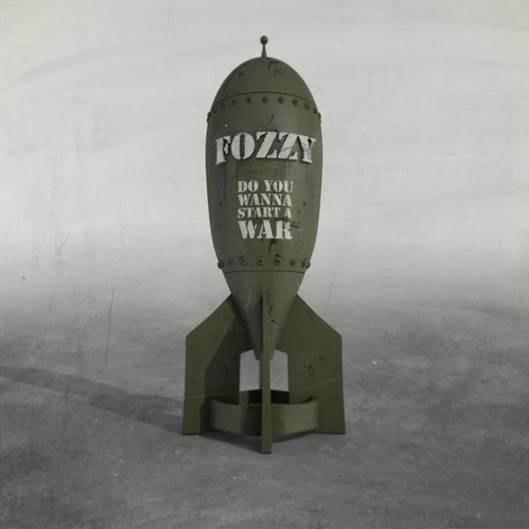 Fozzy decided to stop being a “joke” band and get serious with this album and it ends up with some good results. The hair metal & 80s metal inspirations are mostly gone and in their place is some solid modern heavy metal, alternative metal & hard rock. Most of these songs would song right at home on rock radio. I believe “Enemy” did actually chart for a little bit, and for good reason, it’s the album’s best song. My second favorite would be “It’s a Lie” (even though it’s rap-metal, something I was totally shocked to see Jericho doing). I still haven’t picked up Fozzy’s 2nd album, Happenstance, but perhaps someday I will because I enjoyed their first release and I enjoy this one as well, even though it took me a while to get into the new sound of Fozzy. Not sure if I got the band credits correct, I’ve only got the CD on me (the jewel case & booklet are in storage) and I couldn’t find a definitive band line-up for this album online anywhere. If anyone knows any different, feel free to let me know.